"We sold and purchased properties on the same day so I got to see how Missy and her team handled both ends of the real estate transaction… Their customer service, knowledge, and negotiating skills are top-notch. I would highly recommend Missy Jerfita to both buyers and sellers. Plus, we really loved using their moving van! " - Doug S.
"I believe Missy Jerfita and her team did everything possible to market our home in a very tough market. Her drive to get our home sold was extraordinary. Importantly, her integrity throughout a sale process… was noteworthy." - Bob M.
"Missy and her team have tremendous local market experience and really understood the strengths and weaknesses of our property. They did a great job talking us through their strategy and pricing considerations. We were very happy with their expertise and they were so great and fun to work with." - John S.
Making the move from the city to the suburbs can be overwhelming with so many decisions to make. 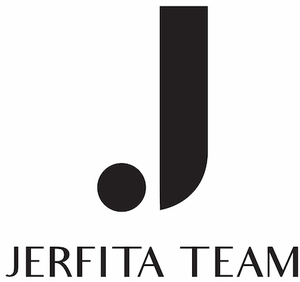 The Jerfita Team specializes in making the transition as Smooth as possible. We will work seamlessly with you to list your city home and position it for the best outcome while simultaneously getting the best property in your new location. How can we do this? I am glad you asked! We are a true team. We have expert agents who will guide you through the process. Our agents will work together so that you will be confident it will be a Smooth Move. While listing in the city, our suburban agent will assist you in locating the perfect suburb and help you understand the market in your new area. From researching your particular needs to diving deep to scour the inventory on and off the market for the perfect fit. We will also help you understand the risks and rewards involved in writing an offer. Selling and buying at the same time involves not just finding the perfect property but protecting you with how that offer is written. Each situation is different; such as will the offer be contingent on your home sale or mortgage? Are you willing to buy without selling? No worries, we will explain the options and give you solid advice. Not only do we supply expert knowledge, we provide the tools to help you. Do you need a truck to move? Not a problem, use ours for free! Need expert painter or stager? Not a problem! We pride ourselves on being the expert facilitator, helping our clients feel confident that all of your questions and concerns addressed.